Stigan Blog Stigan Media Inc. Makes Clutch 1000! Stigan Media continues to excel on Clutch and ends 2018 with a major achievement. 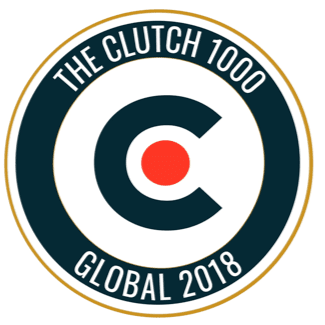 For the first time, Clutch has unveiled a new and exclusive honor: the top 1000 companies on their platform. The firms on this list were selected based on their high level of dedication to clients and ability to deliver. Clutch is a third-party company that tracks the leading B2B service providers, and ranks them within their respective industries. The ratings that Clutch provides are largely based on the feedback given by these companies past clients, and reflect their ability to deliver the best solutions to their partners. On the Clutch website, you can see specific examples of our past projectsalong with testimonials from our clients! Earlier this year, we were spotlighted as one of the top logo designers in Canada and we are excited to now be featured in this broader global report. 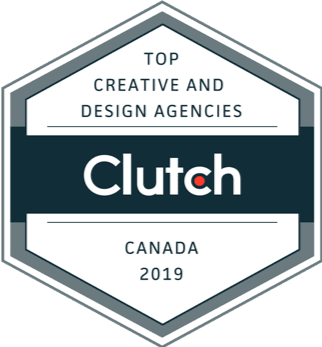 As a company rated so favorably with Clutch, our work has continued to be featured on their sister-website, The Manifest as one of the top digital agencies in Canada. We have been in the digital marketing business since 2009, and since then we have had the opportunity to work alongside several amazing companies and help give them the tools they need to expand their businesses. We specialize in Web Design, SEO, logo creation, and other forms of digital strategy to help drive your website’s traffic, increase your overall visibility with target customers, and in turn increase your ROI. We would like to thank our clients who have taken the time to review us on Clutch. We look forward to making even in greater strides in 2019 and are honored to be considered a top digital marketing and design company to partner with.